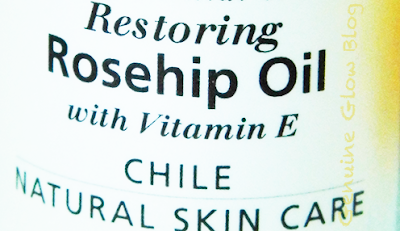 First Thoughts: Initially, I was a bit skeptical about all the “miraculous” properties that Rosehip oil was supposed to display: balance oily skin, repair damaged skin, regenerate skin cells, fade scars and pigmentation, smooth fine lines, and make skin glow. All of this in one product? It really did not seem possible to me. Testing it: Then I tried it on myself (for several weeks), and I have been completely blown away by the results. I was curious to find out if it could help with getting rid of my sun-caused freckles, (from years of irresponsible tanning). And I can tell that it helped some. It did not do a miracle, but it did help significantly, (after all it is an essential oil, not a laser treatment), but I can imagine it will have an even higher impact on my skin over the course of the next few months. How it is made/used: Rosehip oil is extracted from the rose seeds of a rose bush, usually musk rose and sweet briar rose. It is mainly imported for Chile. It contains some of the most beneficial properties you could ever find in a skin product: it’s high in vitamin A, vitamin C, and essential fatty acids. It can be used as a night time serum. It feels rich, but not greasy. It is actually a dry oil, and gets absorbed very quickly. You can apply a few drops to your face and gently massage, or add a few drops to your favorite moisturizer to get the additional benefits provided by the oil. Be careful not to apply too much when you first try it, in order to ensure that your skin does not have a reaction to it. *Tip* Remember that once opened, Rosehip Oil should be stored in the refrigerator in order to last longer. Try it out: I purchased the organic rosehip oil from Aura Cacia at my local Whole Foods, but I read that the Trilogy rosehip oil is considered the finest in terms of quality. You can purchase it online here. 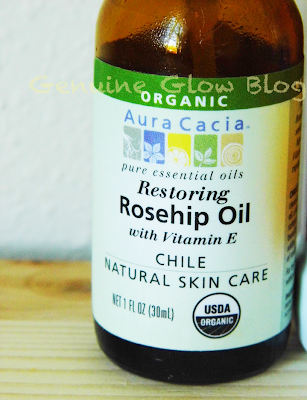 What has been your experience with Rosehip Oil? Let me know in the comments below!